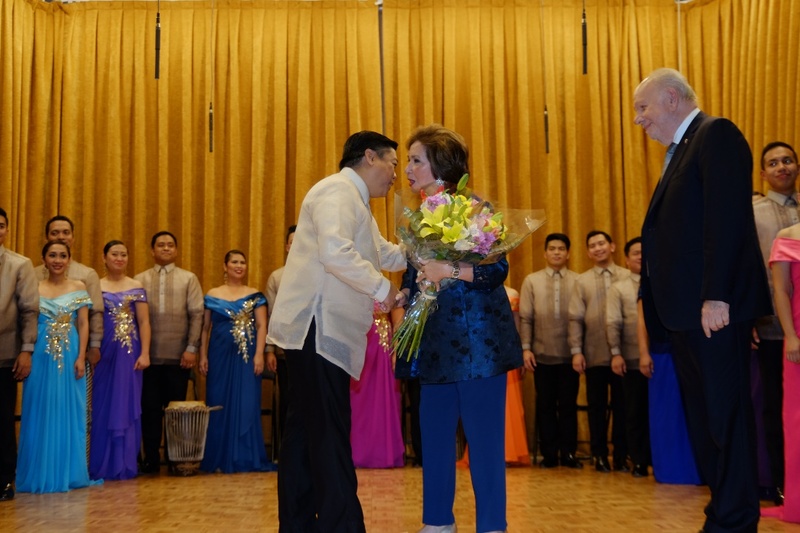 Figure 1.Ambassador Philippe Lhuillier and Mrs. Edna Lhuillier congratulate Choir Master Mark Anthony Carpio and the Madrigal Singers as their performance finale was met with a standing ovation from the audience. Figure 2. Ambassador Lhuillier welcomes audience, cites milestones in PH-Spanish relations. Figure 3 and 4. The Madz performs crowd favorites and new pieces. They will be competing at the European Grand Prix for Choral Singing on 1 November 2017 in Tolosa, Spain. Figure 5. 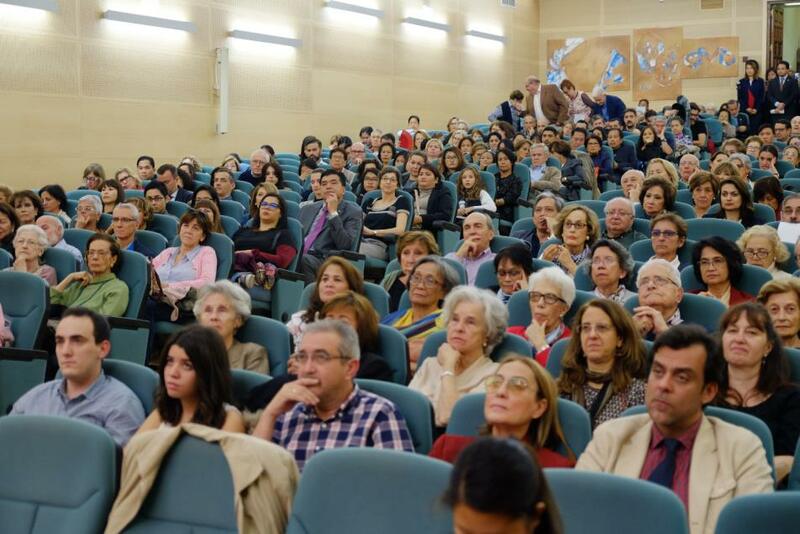 The Madz performed to a full house in Madrid, as around 400 people experienced one of their renowned performances. 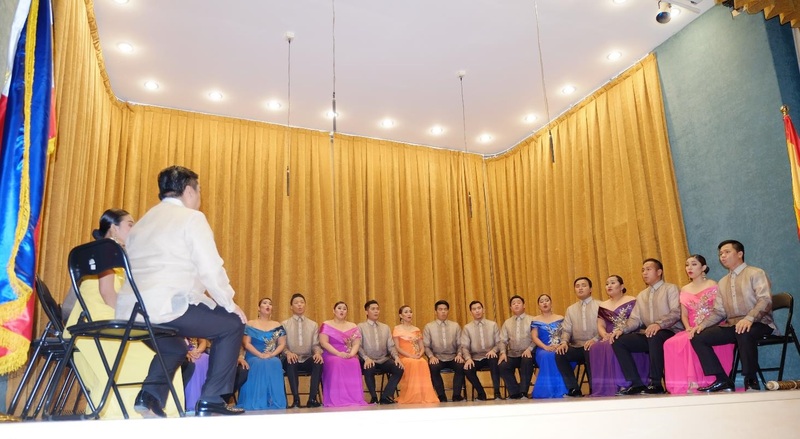 The Philippine Madrigal Singers were greeted with resounding applause and a standing ovation for their performance finale as they held a special concert at the Casa Provincial de las Hermanas de Caridad in Madrid on 19 October 2017 to celebrate the 70th Anniversary of Diplomatic Relations between the Philippines and Spain. 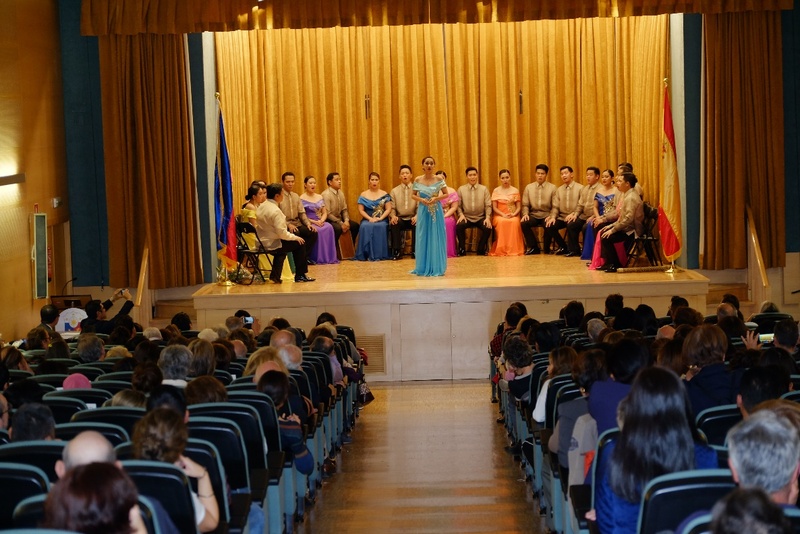 The concert was organized by the Philippine Embassy in Madrid and the National Commission for Culture and the Arts (NCCA). Around 400 people, including members of the Diplomatic Corps, Spanish Government officials, Filipino community members and locals, enjoyed the concert, which lasted from 7 p.m. to 9 p.m. The Madz’s repertoire featured classics and crowd favorites—such as “Eres Tu”, “Da Coconut Nut”, and “Circle of Life”—and new pieces which they will be singing when they compete at the prestigious European Grand Prix for Choral Singing to be held on 1 November 2017 in Tolosa, Spain. The group is currently led by Choir Master Mark Anthony Carpio. The Madz is one of the most awarded choral groups in the world and has consistently won all top prizes in major choral competitions. They first won the European Grand Prix for Choral Singing in 1997, and made history in 2007 when they repeated the feat and became the first choir to win the competition twice. 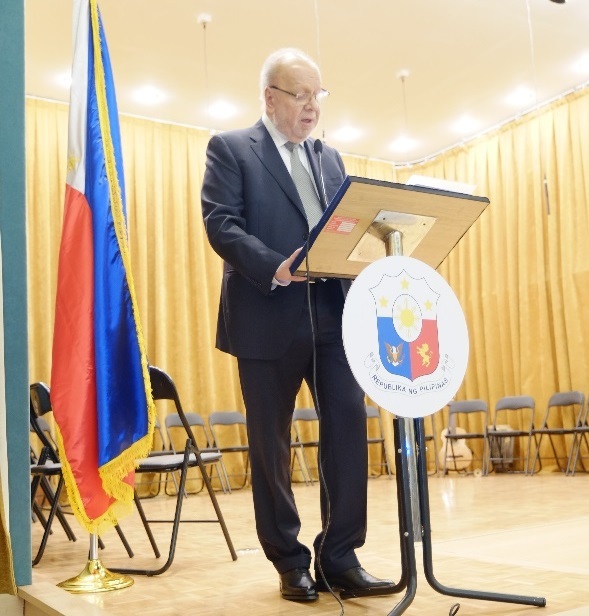 In his welcome remarks to the audience, His Excellency Philippe J. Lhuillier, Ambassador of the Philippines to Spain, emphasized the need for the Philippines and Spain to “work harder towards allowing both the Filipino and Spanish peoples the opportunities to have a more nuanced understanding of each other, one that reflects 21st century realities”. He also stressed the need for both peoples to continue discovering in each other’s cultures familiar customs, practices and ideas, and that allows them to recognize their shared past. He attributed the introduction of the Spanish guitar to the Philippines as instrumental in contributing to the Philippines love affair with music and singing that endures to the present and which finds its pinnacle in the Madrigal Singers. The concert is one of a series of year-long activities organized by the Embassy to commemorate the establishment of diplomatic ties between the Philippines and Spain, which was formalized through their signing of the Treaty of Friendship in September 1947.